If IU wants audiences to see her as a serious artist, will Netflix’s “Persona” help? Anyone who’s a fan of Korean pop culture probably knows IU. Nicknamed “nation’s little sister” for her innocent charm, IU (real name Lee Ji-eun) has topped South Korea’s charts with her trot-infused melodies, and expanded into acting with dramas like The Producers and My Mister. Now, IU seems keen to move beyond “little sister” celebrity status and establish herself as a serious artist. With the Netflix anthology Persona, IU advances that desire—taking some time to gain her bearings and achieving selectively commendable results. Released on April 11, 2019 as a Netflix original, Persona contains four shorts—each with different directors and individual storylines, but all starring IU. Persona’s shorts collectively address a wide variety of rather mature themes, eschewing mainstream appeal and diving heavily into the art house genre. The anthology begins with “Love Set,” in which IU stars opposite veteran actress Bae Doona (from The Host, Cloud Atlas, and more); the two play characters also named IU and Bae Doona. In the short’s fictional world, Bae is about to marry IU’s dad. IU isn’t so excited about that matrimony, so she challenges Bae to a tennis match. If IU wins, Bae doesn’t marry IU’s father. If Bae wins, IU will drop her opposition to the marriage. As such, most of the short consists of IU and Bae Doona grunting loudly as they hit a tennis ball back and forth. If you enjoy watching tennis matches, then this might seem entertaining and perfectly normal. However, as someone who has absolutely no interest in tennis, I felt “Love Set” oscillated between uncomfortably befuddling and absurdly comical as a result. Perhaps this was an apt, intentional metaphor—seeing your father marry a new woman probably feels just as “uncomfortably befuddling and absurdly comical” as watching a grunt-laden tennis match. Persona moves into slightly darker territory with its next short, “Collector.” In “Collector,” we see a man named Baek Jeong-u on a date with a much younger woman, played by IU. As the date goes on, Baek becomes increasingly disconcerted as the young woman asserts her dominance by teasing at his jealousies and flippantly playing on her phone. We see Baek’s discomfort visualized through interjecting scenes depicting him in an empty room, straining to do yoga poses or getting his head chopped off (yes, really) in response to each of the woman’s subtle emotional jabs. “Collector” raises similarly complex issues around femininity. Though she has kumiho-like characteristics, the woman never actually has to seduce Baek Jeong-u. Instead, he launches himself desperately into her arms, pathetically offering cringeworthy platitudes about the value of women in attempts to win her affection. Given Korean society’s recent struggles with notions of female empowerment, “Collector” becomes rather thought-provoking and dramatic, with plenty of fodder for those interested in analyzing gender dynamics. Next, Persona offers its most entertaining and lighthearted short, “Kiss Burn.” Of course, this short is only “lighthearted” relative to the anthology’s other members; it still contains pretty mature themes. In “Kiss Burn,” IU plays a mischievous schoolgirl named Han-na, who visits the rural house of her friend Hye-bok. Hye-bok’s father, a forest fire lookout, treats Hye-bok badly and doesn’t like Han-na. Therefore, Han-na helps Hye-bok pull various pranks in the hopes of getting revenge on Hye-bok’s father. Unfortunately, the girls’ hijinks fail to achieve their intended result—but help spark other unintended consequences. Out of all of Persona’s shorts, “Kiss Burn” has the most approachable storytelling. It has excellent pacing, jokes that have intricate setups but land at the right moment, and no hard-to-interpret metaphors. In terms of setting, “Kiss Burn” also felt slightly reminiscent of the 2018 Oscar-shortlisted film Burning—which similarly juxtaposed youth against the mutedly oppressive nature of rural Korean existence. Even if you’re not a fan of art house films, “Kiss Burn” is worth watching. 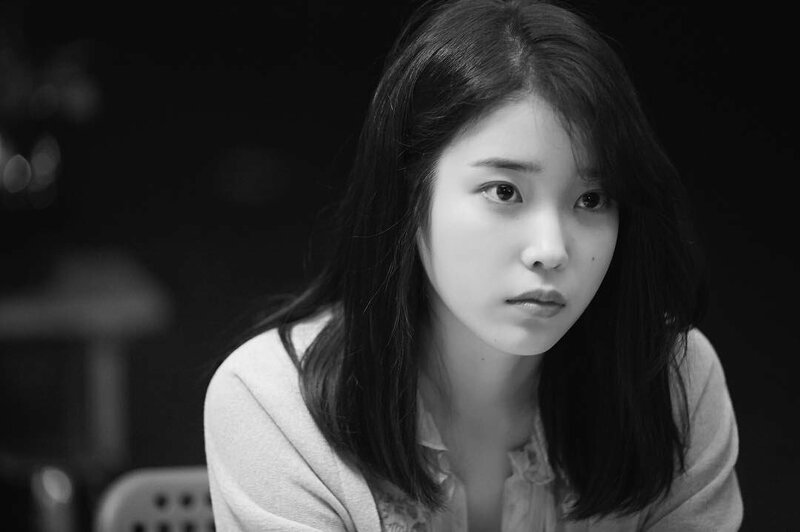 Persona concludes with “Walking at Night,” a black and white short in which IU plays a deceased woman who appears in her former boyfriend’s dream. In that dream, the couple takes a walk at night, reminiscing about bygones and musing about the nature of love, life, and death. “Walking at Night” is Persona’s most dramatically poignant segment, and it is the second-most approachable. There are no tennis metaphors or Korean mythological creatures to analyze, just late night conversations between two former lovers. The short’s art house characteristics—intricate camerawork, creative use of lighting within a black-and-white palette, and a well-paired soundtrack—complement but don’t complicate its storytelling. At the same time, “Walking at Night” touches on some pretty heavy existential themes. We learn IU’s character died of suicide — “I was lonely; the loneliness was endless,” she reflects. This not only feels relevant to Korean society (where suicide is a major social issue), but also gives the segment a certain degree of weight. As the short’s protagonists amble forth, they offer philosophical musings about the ephemerality of love and existence. Life, they ruminate, may be more like a dream than we realize. Even before Persona, IU was already starting to create artistic works—like her music videos for “23” and “Bibibi”—that offer more meaning than your average factorymade k-pop hit. Persona represents a natural extension of those efforts, albeit one that required IU to flex to a challenging art house medium different from music videos and mainstream dramas. However, especially with “Walking at Night,” Persona addresses a variety of complex, mature, and philosophically intriguing topics that I’ve not seen IU, or many other Korean celebrities who started as musicians, address before. While the anthology begins shakily, it builds into something worth paying attention to and thinking about. Persona is currently available for streaming on Netflix worldwide, with each short as an individual episode.